Despite the fact that fewer people believe in God today than a few years ago, the word atheism can still be rather intimidating, making most people feel uncomfortable. Most believers perceive atheists as overly confrontational, rude and even worshipers of some devious entity. However, contrary to that bizarre notion, atheists are perfectly reasonable people who unlike religious bigots have some regard for logic and skepticism. 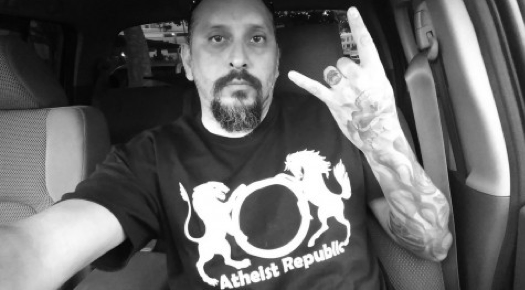 For atheists who fear being judged and persecuted, wearing a t-shirt with a funny atheist saying is perhaps the first step towards stepping out of the closet. If you do not want to wear something too controversial, you could always sport something more subtle instead. But, if you are not inhibited about your ideas and identity, you could always wear a t-shirt that helps you express yourself more firmly and wear your heart on your sleeves, quite literally. Funny atheist t-shirts serve as a great conversation starter, without necessarily offending anyone. Not only will you be able to spread your word to more people with such apparel but you will also be able to make a few new friends; who knows! For a long time, atheists have been shamed for daring to express their opinions against religion, they have been told that they are silly or even evil! However, it is easy to make a difference and put that reputation to bed and it is high time more atheists started doing exactly that. A simple funny atheist t-shirt lets people know that you are proud to be an atheist and that you have as much right to talk about your ideas as does anybody else. Remember that if you are ashamed of your own ideas and cannot stand up for your own faith or the lack of it, you cannot expect others to stand by you and accept you either. But, if you can be brave about your atheist identity and walk proudly with your head held high, there is little that others can do to make you feel ashamed or belittled.